Medicare was the first insurer to cover diabetic shoes. Now many private insurance companies cover the cost of the shoes. Our office will contact your insurance company to check your individual coverage. Many secondary insurance plans now cover any remaining balance. Our staff will measure the diabetic patient's feet, process the order and the shoes will normally be available for pick up within 7 to 10 days. 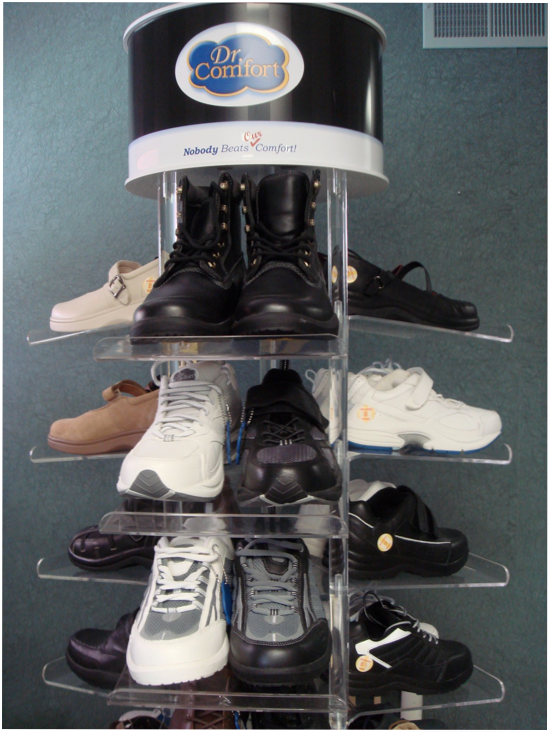 With the latest diabetic shoes, patients rarely require custom molded orthopedic shoes. These are frequently less attractive and more costly.